How do sunflowers begin? When do tadpoles become frogs? What do caterpillars eat? 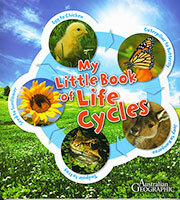 packed with fascinating facts about life cycles. Amazing photographs of every stage. Labelled diagrams to explain growth and development.